It is lovely weather here at Hedgehog Hill. we had a few days that were hot and very humid, but after some much-needed cloud bursts last night we are into perfect summer weather. I am still learning what is here from the previous owners and I have been watching some vines that are on the backside of the large compost structure. I was hoping it might be currants, and so it is! I think currants have gone out of fashion sadly. They are a lot of work to pick, sort and preserve. I can see why they are not available in large stores, they are not easily harvested by machines. These are the things I think we should all grow if we have the space. 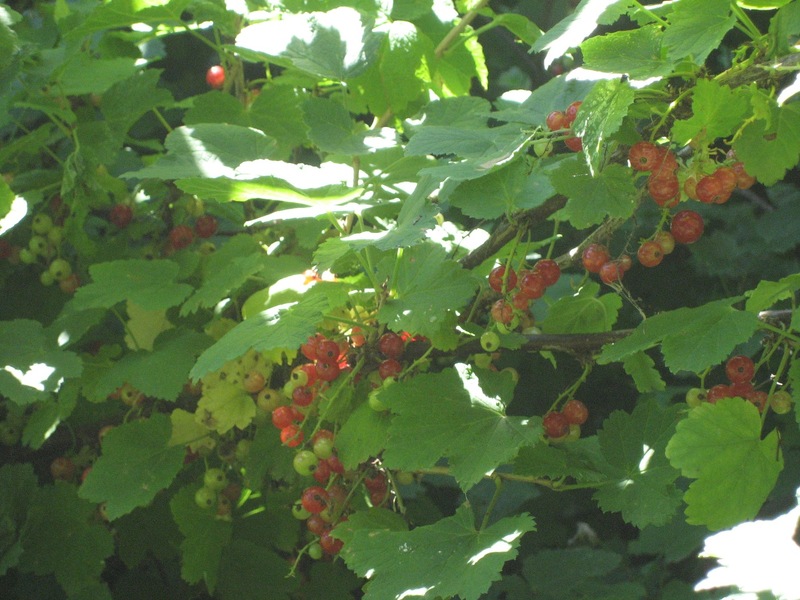 I have never tried to make currant jelly but I think I’ll give it a try. It is a lot of work with the straining etc. But my research says currants are high in pectin and set very easily. I also saw these, that seem to be a separate bush. 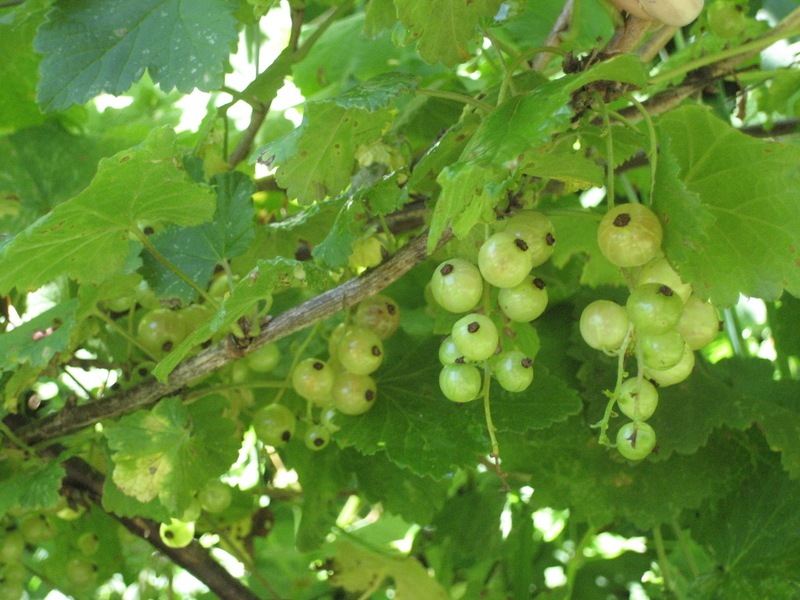 At first I wondered if they might be gooseberries. 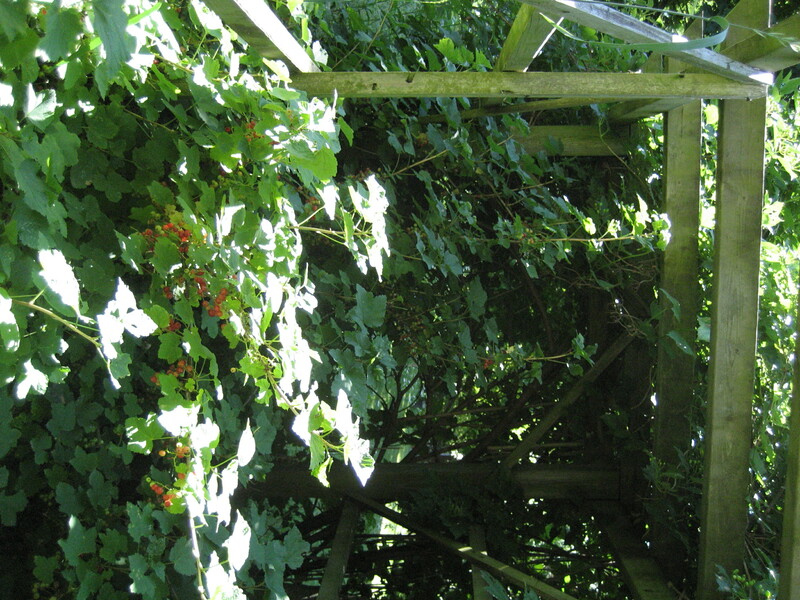 But gooseberries grow in singles and have nasty thorns and are much bigger. 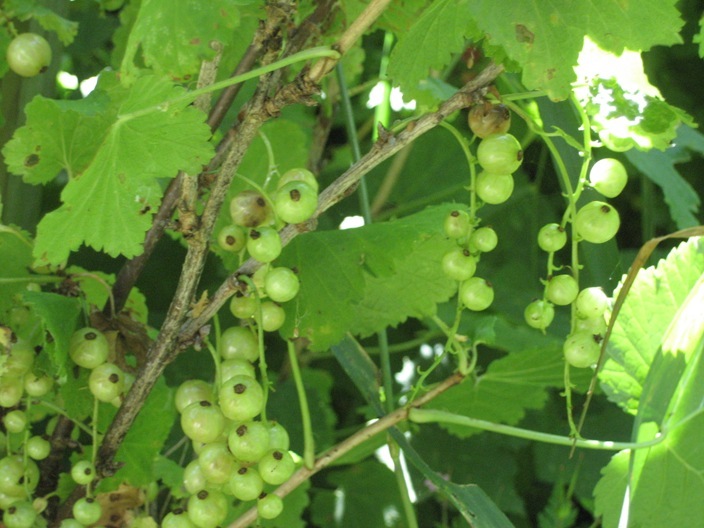 So I am guessing white currants. From my reading on the internet, white seem to be less common, but highly prized. I wonder if I can combine them for jelly. 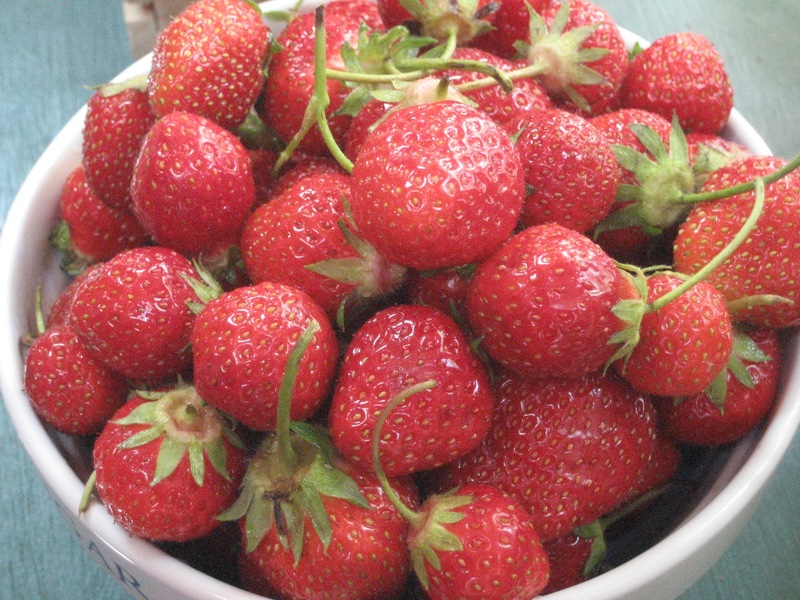 I bought some Ontario strawberries last week, they were the best berries I have had in a long time. Don’t you just want to bite that one on top? I did! These were devoured just as they are. Then I bought more and made jam. Guess what I have every morning for breakfast? 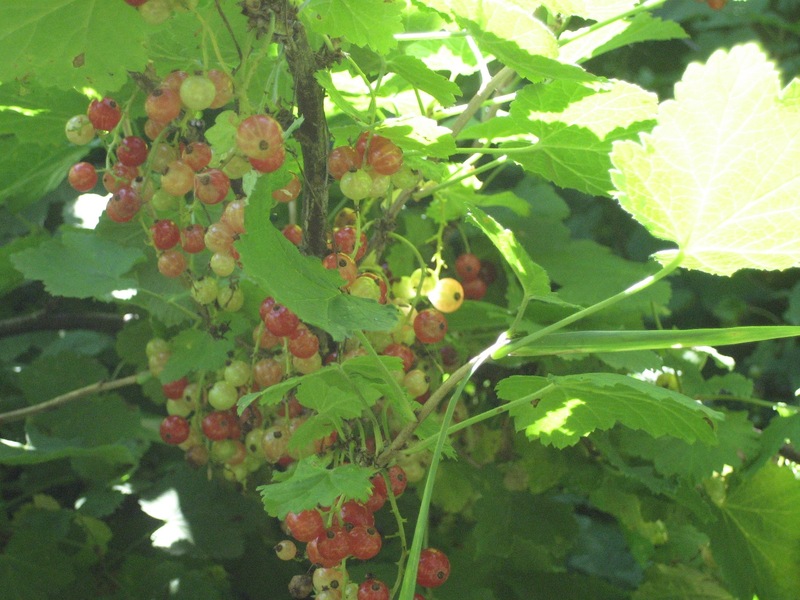 Currant jelly is my favorite – I really wish it were easier to find, but makes sense given how much is involved in picking the berries in the first place. yes I may be less enthusastic after I spend a couple of hours picking for only a few cups. I’ll pst my results!